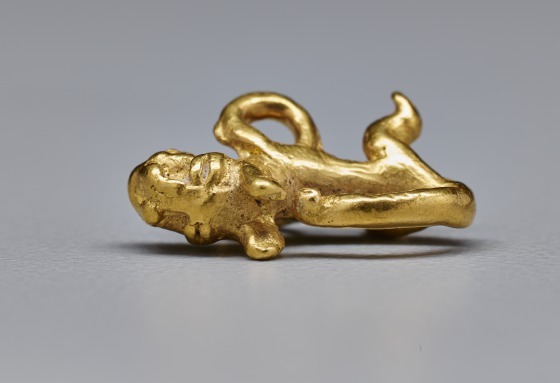 Among the societies of Central America, gold ornaments were important symbols of power and prestige that expressed authority and status in life and in death. Made to be suspended around the neck, the image on this gold pendant is flattened and bilaterally symmetrical for maximum decorative effect. The circular front feet form the suspension loops—craftsmen thus cleverly adapted the natural forms of totemic creatures to the functional demands of this jewelry. 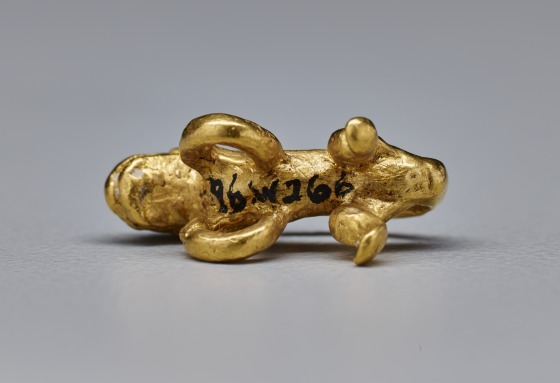 This pendant likely represents a jaguar with a large mouth and curved tail. 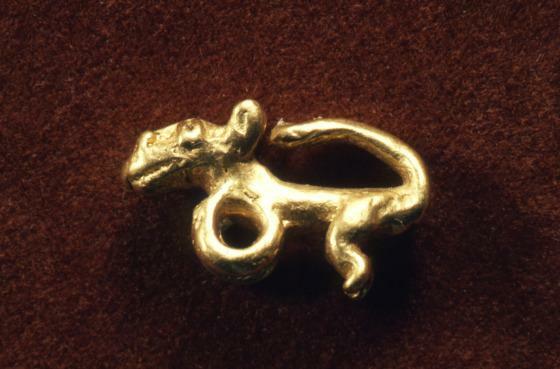 Pendants in the shape of felines and other animal creatures are a common theme among the cultures of Intermediate Central America. Depicted in a variety of sizes and styles, they sometimes represent a fusion of various animal features and species. Though their exact meaning is unknown, pendants were likely worn on ceremonial occasions, and similar pendants were still being worn at the beginning of the 16th-century conquest. 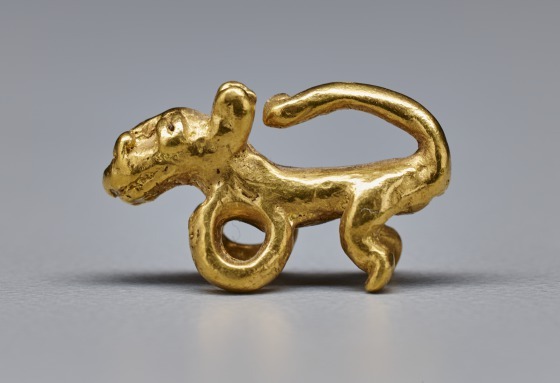 For many peoples of the ancient Americas, jaguars and other large felines were likely considered mythic figures. 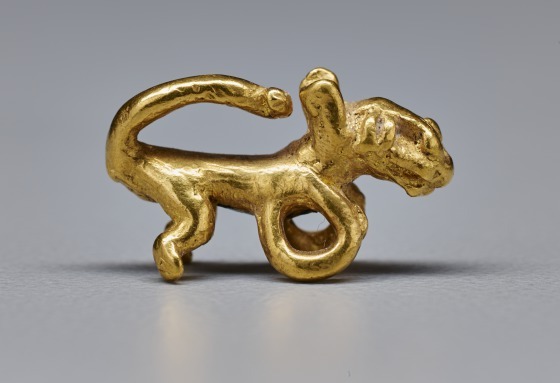 Feline pendants may have thus offered protection to the wearer, and when represented in gold, such as this example, they are even more powerful. Anne R. Bromberg, Dallas Museum of Art: Selected Works (Dallas, TX: Dallas Museum of Art, 1983), 45. Carol Robbins, Label text [1976.W.298; 1976.W.297; 1976.W.292], A. H. Meadows Galleries. "Eagle Pendant (1977.187.22)." In Heilbrunn Timeline of Art History. New York: The Metropolitan Museum of Art, 2000–.http://www.metmuseum.org/toah/works-of-art/1977.187.22/. (August 2009).